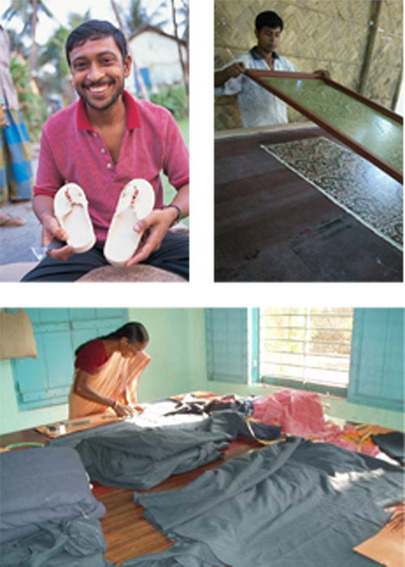 "People Tree has helped Thanapara Swallows to grow in many different ways so I do not know where I shall start. First of all People Tree helped us to continue our business, showing us how to improve quality so more women get job opportunity to work in our organization. In our village there is not any other opportunity for women to get work. 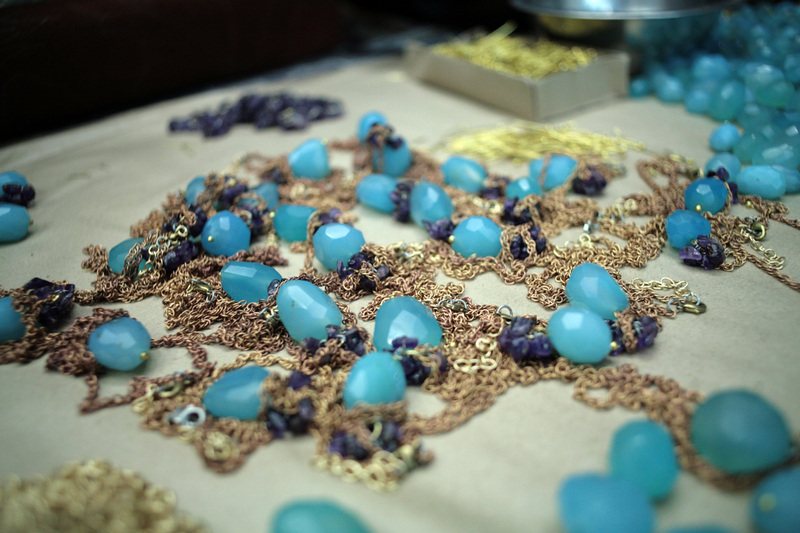 Our production center is the aonly place where rural women can work and earn a good income to maintain their families. Thanks to People Tree helping us apply for a grant which will enable us to train and offer work to young women in our area. We have rebuilt and expanded our handicraft center. We have received donation from People Tree to run our primary school. In our school we have 296 students getting 5 years of primary education. People Tree supports 50% of school running costs. We received support to build our Day Care Center, where 45 babies and young children can stay and get basic education. Mothers feel safe to know that their children are in the day care centre when they are working in the handicraft production center. We also received support to send out two staff to get training on how to grow and cultivate organic cotton in our area." "People Tree is a big part of our organization and we believe People Tree growth and the launch of the People Tree Foundation will help Swallows help hundreds, even thousands more people." "People Tree have already proved that they are concerned with the above and opportunities to disadvantaged artisans and stronger Fair Trade business development - more income means less poverty." "People Tree Foundation brings me hope to make more income for disadvantaged artisans by taking initiatives as follows..."
Strengthen Fair Trade groups by building up professional people within organisations to help them grow. 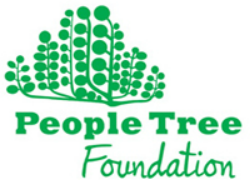 "We heartily congratulate you on the launch of People Tree Foundation. It is a very welcoming step towards expanding the organization of social and environmental activities in the interests of the producers of the developing countries and the natural world. We are highly thankful to People Tree for its valuable support provided during the last ten years. The design development support, quality upgrading and the awareness about our environmental responsibilities helped us enormously to produce better quality products. Your continuous support has also helped us to become confident to address the challenges before us. The beginning of People Tree Foundation will further strengthen the initiatives taken to support the Fair Trade groups like Tara Projects. It is highly important that such support should continue in future, especially in view of the increasing demands of the market." "The Foundation will be able to play an important role to strengthen our work and to survive in these difficult times. We wish you great success in this great effort, which will be able to help the more marginalized people." "Sasha has a long association with People Tree. It started in the early '90's, modestly, with a few clothing and craft items when Safia practically had to handle everything herself. It grew very quickly in Japan and then the UK too. 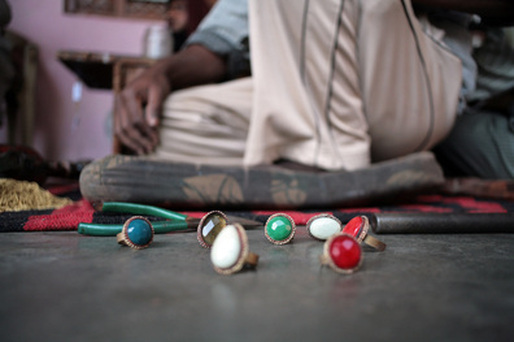 By then supporting Safia was her team of designers and technical people, who were visiting us quite often in India. Our business with them also grew. Product designs and varieties also increased. 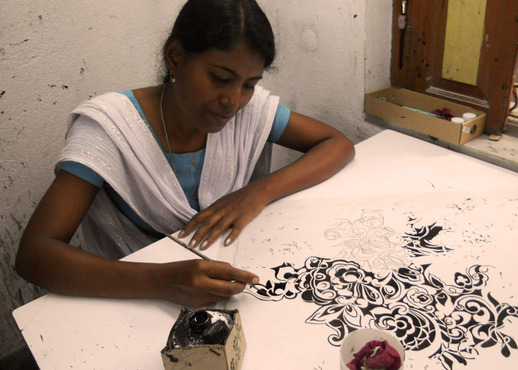 Working with recycled sarees was taken to another plane by PT. It started with a small recycled blanket that Safia saw in a village and ordered, and now we are into clothing, accessories, hangings and toys. A recycled belt designed by PT team was also in the fashion magazine VOGUE, a couple of years back. Joint visits to producers enabled both PTUK and Sasha to identify the needs and address them accordingly." "People Tree's insistence on minute quality standards, on eco-friendly methods and materials were challenging and at the same time a learning experience for us. Working with the same product and producer over a time, we could see the change in their quality of workmanship as well as their working methods. PT provides at least 3-4 months work to the producers they work with, on a regular basis. An analysis of the cost sheet enables us to ensure that the minimum wage is maintained with every producer."